In a previous post, Train Your Brain, I shared ideas on focus and productivity. On this post, let’s pivot (a very popular word in today’s biz world) 180 degrees and address too much focus. Sound like an oxymoron? Not at all says Srini Pillay, an executive coach, author, assistant professor at Harvard Medical School and CEO of the NeuroBusiness Group. With those credentials, I decided his thesis deserved consideration – even though I’m a big believer in focus (see my last post!). Use positive constructive daydreaming or PCD. – Unlike the garden variety goofing off or simply tuning out, PCD is intentional and, when done consistently, trains your brain to pull out the bits and pieces you may have forgotten but that can contribute to your creativity and ability to solve problems. This sounds a lot like lucid dreaming, which also involves consciously using your mind while you’re in an unconscious state. Pretend to be someone else – Ok, I have to admit this last tip seems a bit far out to me. But on reflection I realized it’s just a slightly updated version of the old advice to “put yourself in someone else’s shoes” to get a new perspective. The author playfully calls this “psychological halloweenism” and advises imagining yourself as a “eccentric poet rather than a rigid librarian.” In other words, find a way to get out of your own head and into someone else’s. It just might unlock your thinking and help you to find new ideas and ways out of problems you had not imagined previously. If you’ve read my book, The 100: Building Blocks for Business Leadership, or just read my posts here from time to time, you know I highly value work-life balance. In fact, that’s the topic of the very first chapter in The 100. 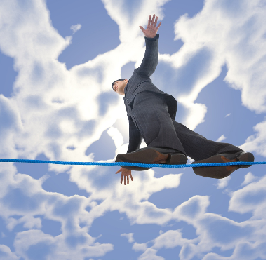 Achieving balance means working efficiently, having discipline and knowing how to prioritize and focus. A recent special edition of Harvard Business Review (sort of an HBR “Best of”) includes an intriguing article, ‘Train Your Brain to Focus” by Paul Hammerness and Margaret Moore (co-authors of the book, Organize Your Life, Organize Your Mind: Train Your Brain to Get More Done in Less Time). So when you tell your kids to turn off the video games while doing their homework, you’re not being a curmudgeon – you’re teaching them an important lesson in training their brains to focus. When it comes to your team, you can insist on distraction-free meetings—ban laptops, mobile phones, tablets and other gadgets. They might resist, but when creativity and thoughtful input increases you’ll know you’re on the right track. Easy enough, right? Sure, when you control all the variables. But life often throws us—and our employees—curveballs: events that trigger emotions like anxiety, sadness, anger and more. Functional brain images reveal that these negative emotions make it extremely difficult to solve problems or do other cognitive work. Awareness of your options. You can stop what you’re doing and address the distraction, or you can let it go. Breathe deeply and consider your options. Choose thoughtfully: stop or go? Only a monster boss would expect any employee to keep cranking when a loved dies or similarly devastating news is received. But less drastic negative events can be managed, the authors argue, by taking the time to decide how to react, versus simply reacting. The 100 Downloads: A set of 30 templates, checklists, and other tools that support ideas in my book The 100. Software Development: Being Agile: Written as a part of a series on software development, this piece covers the benefits of Agile and Scrum. Father’s Day: On Father’s Day this year, I wrote a testament to my dad as a father and man. Getting Curious Gets Results: Inspired by a Harvard Business Review article, here are thoughts on how curiosity can improve our business and our lives. How CEOs Manage Time: Also inspired by a Harvard Business Review article, I share my $0.02 on how to effectively manage time/life. 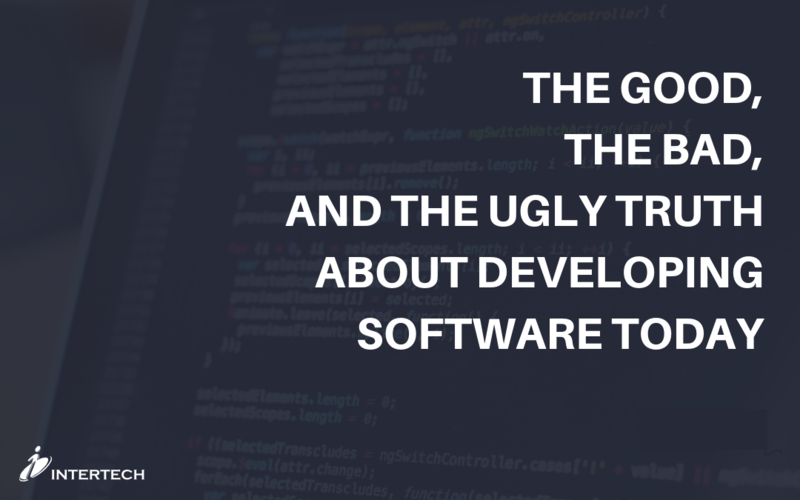 Last time I shared a bit about the concept of Development Centers for software development. Because we effectively use this model at my firm – we call it “The Intertech Way” – I thought I would share the best practices for making it work. Delivery Manager to ensure a standard process is followed on all projects and that quality standards have been met before project delivery. Dev Center Manager to mentor, help bolster technical skills, and to ensure all apprentices can operate at a consistently high technical level. Maybe you will want a slightly different organizational structure in your Dev Center, but the key is to ensure you have more than simply a senior professional paired with an apprentice. The other roles are necessary to ensuring that younger team members develop consistency in their skills and the overall process they use to make software. We have found this model is working well and consistently results in turnkey solutions. And yet many are holding tight to the offshore model hoping to save money. Ironically, instead of cost savings, we’re now seeing costs shift from the actual development work to the writing of requirements and quality assurance – and development takes longer because of the time lag in communication when team members are located around in the world and in different time zones. Also, not surprisingly, people writing such detailed requirements must be more advanced (i.e., expensive) to anticipate issues a lesser-skilled developer might face during a project. The only true benefit with off-shore development is that it forces business leaders to think holistically about what they expect from an application on the front end. That helps to prevent costly changes in mid-stream. But the negatives of off-shore development still outweigh the benefits. I’m convinced that guided learning and mentoring, in the matrixed leadership approach I described above, allows younger developers to be exposed to every aspect of a project (a good way to build your department’s expertise) while providing the guidance from deeply experienced IT professionals – and the level of accountability necessary for quality outcomes. With an offshore model or a completely outsourced model, however, there is no accountability at the individual level where it matters most. In our youth-obsessed culture, it’s easy to forget that younger people lack one very important attribute: experience. And while software development is a fast-changing industry that traditionally favors young people eager to learn, experience still is a critical ingredient in quality outcomes. Instead of putting young hotshots on a pedestal – and then suffering predictable disappointment when they stumble – I recommend a more moderate approach that goes back centuries in many traditional trades. I’m talking about pairing younger professionals with more experienced people in a classic apprenticeship approach. This approach makes a lot of sense and still is common in European countries where young people often apprentice for several years before they are considered fully developed professionals. I think of this as the “Development Center” approach. Besides ensuring valuable transfer of skills and judgment, a Development Center model provides financial benefits too. For companies relying entirely on in-house IT staff, employing a mix of young (and less expensive) and older (and more expensive) professionals helps keep overall employee costs more moderate. IT consulting firms, such as Intertech, that use this Development Center model can charge clients a lower overall project rate without sacrificing quality or accountability. For this model to truly work, however, senior people must do more than peek over the shoulder of younger talent. Acting as true mentors, more experienced professionals should outline what younger team members are expected to do, review their code, and help integrate the work that they’re doing into the overall project. And then there’s the harder to measure but infinitely invaluable transfer of “soft skills” that make all the difference between success and failure. At our firm, this means having one of our top consultants allocate 100 percent of his time to provide guidance on project management, communication, understanding Agile and Scrum, and how to work effectively with team members and clients. Watching senior people in action also allows younger people to develop critical skills. And clients obviously appreciate not picking up the tab for junior employee making mistakes or missing deadlines during the process! The older have a lot to teach the young and it’s time the IT industry starts acknowledging this truth. When we do, we all win.